As the owner or manager of a retail business, you have a lot on your plate. Luckily, you’re in business at a pretty great time. Technology has come a long way, and retail stores are benefiting, big time. There are automated online solutions for managing payroll, inventory, accounting, and more. These technologies not only make your daily retail operations run faster — they also help ensure that all your numbers and data are accurate. Here are a few of the best software solutions for retail businesses. Inventory management software is an excellent tool for helping you manage your retail business in a smarter way. Cin7 provides easy-to-use tools that let you forecast inventory levels, track inventory in real time, sell backorder stock, and even produce and send purchase orders on the go. Cin7 also offers robust point of sale (POS) software. Combining your POS and inventory lets you track incoming stock, generate accurate cost of goods sold, and sell directly from your warehouse. Both systems are operated on the cloud. This means you’ll have access to your inventory and sales data from any device, anytime. It also protects your data from fire, theft, or other unforeseen incidents. 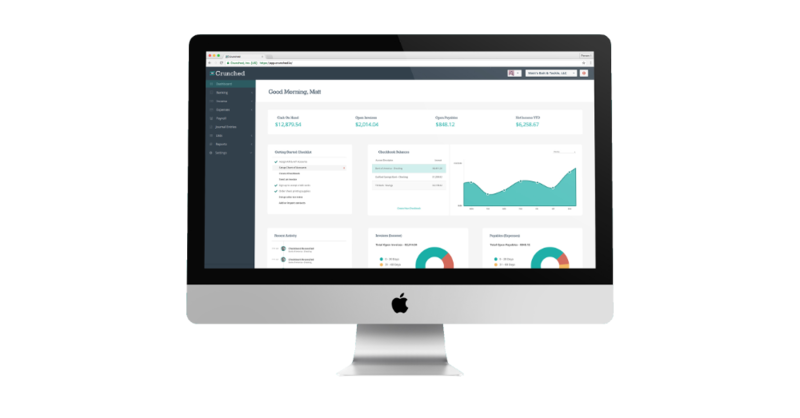 If you’re not using cloud accounting software to manage your bookkeeping, you’re missing an excellent opportunity to make your accounting easier. Spreadsheets are outdated, and make the process slow and tedious. Manual bookkeeping is also more prone to errors, which can lead to real problems down the line. Cloud accounting software from Crunched automates the entire bookkeeping process. All your transactions will automatically be tracked when you sync your business bank accounts to the accounting software platform. Reconciling your accounts can be done automatically with a few clicks. And invoicing is made super easy by allowing you to create invoices and send them via email directly through the platform. Other major benefits of Crunched cloud accounting software include ease of access and security features. Because Crunched is cloud-based, you’ll have access to your financial and invoicing information from anywhere on any device. And security features are top of the line. Data is secured by bank-level encryption, auto backup, and data redundancy. Other features include dual authentication for login and account retrieval, and account administration and roles management setup to prevent unwanted users from performing certain tasks. If you’re a small business owner or bookkeeper, you know that payroll can be one of the more time-consuming accounting tasks. This does not have to be the case, however. With Crunched Payroll, you’ll be able to process your payroll with the click of a button. The primary features of Crunched Payroll include direct deposit, reporting, and automated tax filing. Direct deposit eliminates paperwork and distribution time. Reporting allows you to quickly retrieve your payroll journals, cash requirement reports, payroll tax returns, and year-end forms, such as W-2s and 1099s. And with automated tax filings, you never have to worry about due dates, deadlines, or other penalty- and interest-bearing timeframes. Crunched Payroll automatically files federal and state payroll tax forms. There are a ton of customer relationship management (CRM) systems out there. Some are set up with features specifically for retail businesses, and Zoho is one of them. But why do you need CRM software for your retail business? It starts with the fact that online retailers have captured 51 percent of retail business. This makes it more important than ever for brick-and-mortar stores to hold on to customers and provide them with incentives to come back to you. By having personalized customer information within the system, Zoho CRM Plus can help you customize messages and offers to customers based on specific product tastes and/or demographics. You can also manage social media, integrated with Google Adwords. And you’ll have full analytics and forecasting ability. Zoho provides most of the key features of the behemoth CRM, Salesforce, but for a much lower cost. Doing business smarter can make all the difference to your bottom line. By utilizing the latest retail business software solutions, you’ll be working smarter by accomplishing your tasks faster, eliminating errors, and improving your ability to effectively reach your customers. Platforms like Crunched, Zoho, and Cin7 are game changers for small retail businesses. Make sure you’re taking full advantage of them.